Two-pocket folders offer a patented Corner Lock design. Use tabs to slip over the top corners of documents and secure your documents in the folder. Two interior pockets provide ample space for letter-size papers. Left inside pocket has a convenient business card holder. 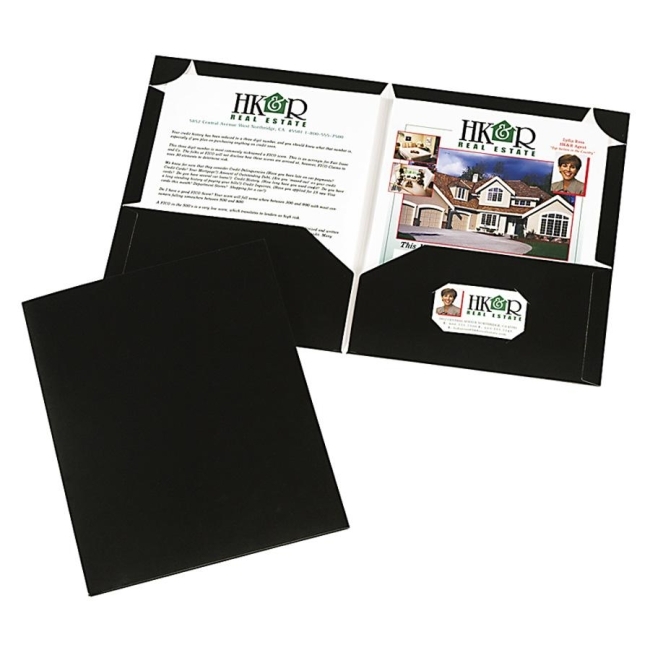 Made of professional-looking, heavyweight, high-gloss laminated paper stock.